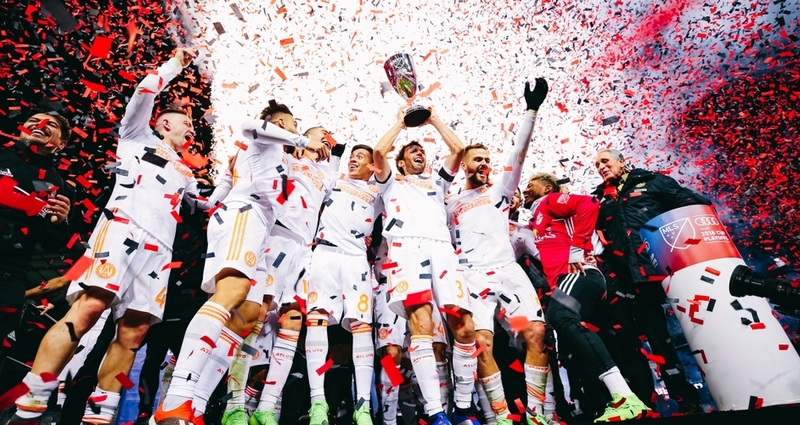 Atlanta United FC advanced to the 2018 Major League Soccer Cup after beating New York Red Bulls 3-1 on aggregate in the Eastern Conference Championship. New York edged Atlanta 1-0 in Leg Two, but the three-goal deficit proved to be insurmountable for the Red Bulls. As the club with the most points from the regular season remaining in the playoffs, Atlanta will host Portland Timbers in the Cup Final which will be played at Mercedes-Benz Stadium Saturday, Dec. 8 at 7:30 p.m.